We have spent quite a bit of time in the UK, and one of the places I like best, is Devon. So I was glad when this British couple from Devon told me they were planning a Grand Cayman wedding on Seven Mile Beach. Max Hillier from the Grand View Condos got in the act, and made it really special for them. The bride's mother came in and added a special order bouquet to the package. This is really easy to do, just tell us and we can upgrade your bridal flowers from "tropical" to whatever you have your mind set on, and we give you a credit from your wedding package. 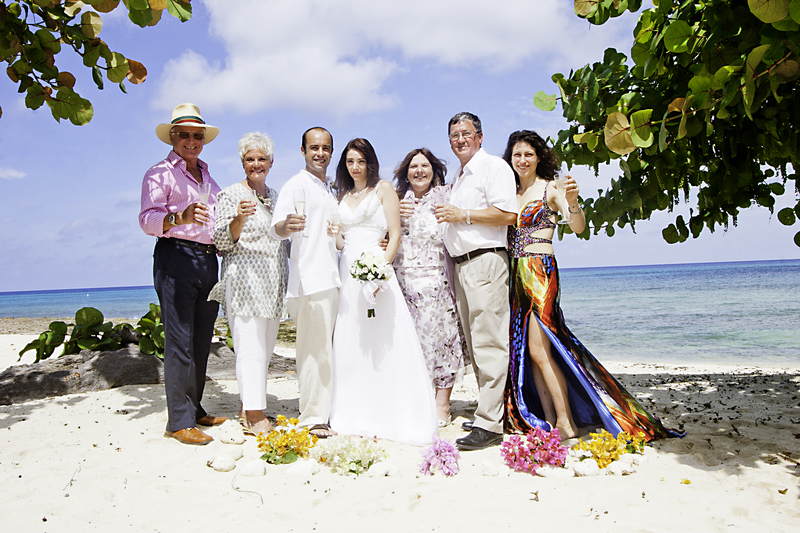 The couple's immediate family travelled from the UK to join them for their Grand Cayman destination wedding. I get quite a few UK weddings, for one thing we have a big British community and I'm sure their friends and family like to come and visit, but best of all there are direct flights from London Heathrow on British Airways four times a week. Some grooms are particularly endearing, as this one was. 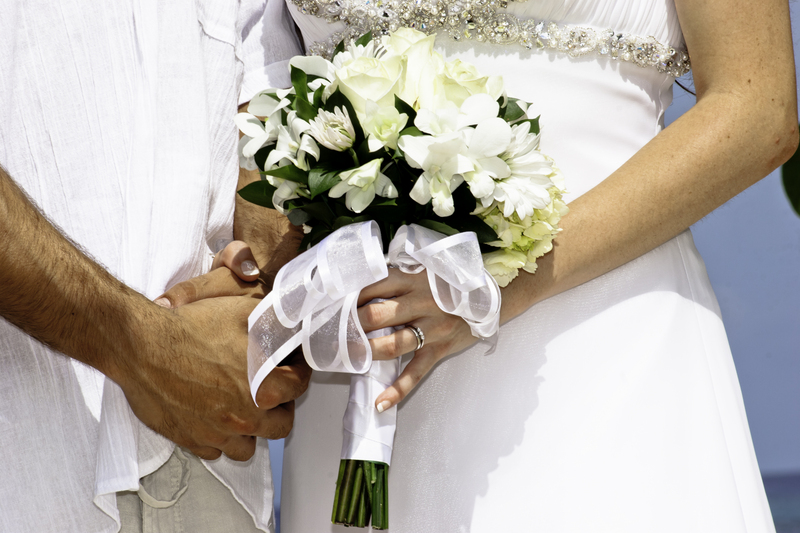 I like when I can help make their special day a stand-out success. This lucky couple went off to Little Cayman, the smallest of the Cayman Islands for their honeymoon. Coincidently two of my couples married that weekend spent their honeymoon at the Southern Cross Club in Little Cayman, I hope they met up and had a celebratory drink together. These photos were shot by Yvette McField. You can request Yvette, or any of our talented photographers by name, and you can request any of the shots you have seen on this website, or our Facebook page. 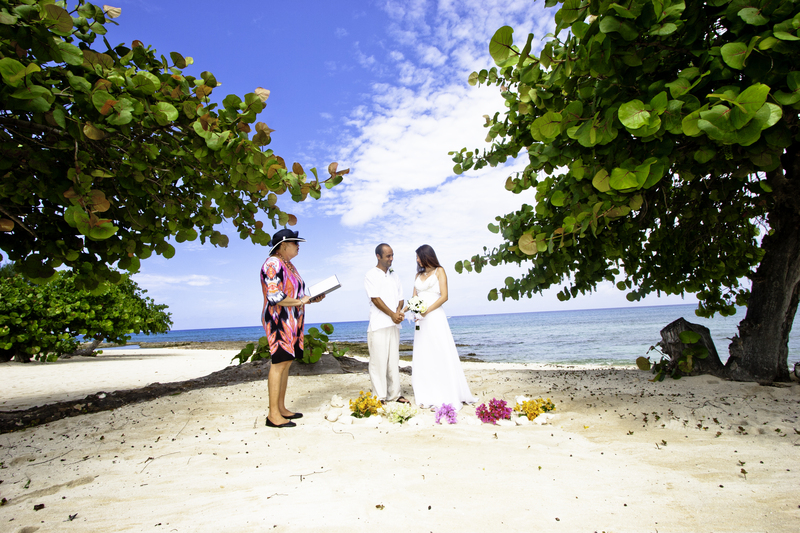 We have the best photography option in the Cayman Islands, or so my clients say. Photography includes one hour of candid and posed shots. If time permits we can do a double location shoot, or you can request additional time for photos.